I’m in the bank holiday clearance sale. Free UK delivery from 3 working days. Please ensure you have completed all of the steps. Not the perfect fabric for you? Shop made to order here. To help your item stay looking as good as new, we offer Staingard protection for only £65. This covers your item for 5 years against accidental spills, stains, marks and damage such as wine spillages, tea disasters, tears, pet scratches and much more, giving you complete peace of mind. Click here to see if Staingard Protection is right for you. 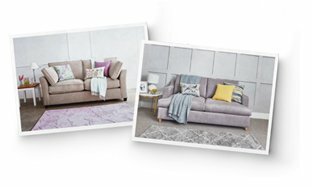 Totally moreish with its sumptuous cushioned back and lovely deep seat cushions to snuggle up on, The Chilmark Sofa is ridiculously comfortable. It’s also wonderfully stylish with its curved back, beautiful shaped arms and piping detailing. The Chilmark Sofa is a true timeless, handmade, British beauty. Delivery is free to all postcodes, nationwide. Our splendid delivery chaps can deliver to a port/shipping company of your choice. Please give our team a bell on 020 8939 3800 for more info. If you don't love your item just contact us within 30 days of delivery and we'll give you all your money back. This applies on all our items whatever your customisation choices. The only exception is bespoke items, e.g. where you've asked us to make the item in a fabric we don't offer. We can recycle your old item when we deliver your new one from £45 a piece. If you'd like to use this service please just let our team know when you order over the phone or select at checkout. Accredidation, a super prestigious award based on the independent feedback received from our customers. For another year running we're really chuffed to have been awarded Feefo's Gold Trusted Merchant Accreditation. To read what our customers have to say about us have a gander here. Our sofa beds come with the handy option of detachable arms. These can be really helpful if the route into your room of choice involves very narrow doorframes and/or tight angles as they reduce the total width of the sofa bed. It’s also super handy as insurance if you think you might move in the future to a home with small doorframes or lots of twist and turns. If you opt for removable arms then the craftsmen will make the frame from scratch differently to allow the arms to be lifted on and off without compromising on the structure or quality. Once the item is ready, the two man delivery team will know from your order that you have removable arms and will remove the arms as and when required to get the sofa bed into your room of choice. Once in position in your room of choice they will put these back on for you. Sadly if the item does not fit without removable arms we cannot take it back and adapt it for you however we can of course make a new model from scratch. Unfortunately our Burstow and chaise & corner sofa beds don’t come with removable arms. If you’re still unsure as to whether you need removable arms then don’t worry. Please just give us a bell to discuss or email us some pictures of your doorways/passageways and we will liaise with the delivery team for you and make a recommendation. 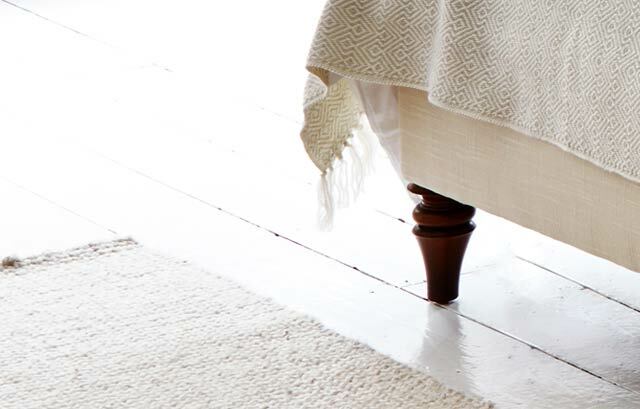 Understated, classy and beautiful our house linen weave looks fantastic in any home. Made from 100% polyester you're able to get the fabulous look and feel of linen without suffering from its usual delicateness so you can still let your children and dogs run amuck on your sofas... after all, all you have to do is wipe it clean or pop the cushion covers in the machine for a wash and they'll be as good as new. Beautifully soft to touch with a fabulously natural linen-cotton appearance, this fabric is made for us from a gorgeous blend of natural (8% linen, 68% viscose) and manmade (24% polyester) fibres which means as well as having the texture of a natural fabric, it's also extremely durable, retains its looks ridiculously well and can be dry-cleaned in situ. Beautifully soft to touch, this fabric is made from 100% cotton to give a very natural looking and appealing finish. A wonderfully breathable fabric, our cotton will also give you natural comfort all year round as well as being fabulously hardwearing, resistant to pesky piling and machine washable. A truly beautiful fabric that has a real understated and sophisticated style. Giving a fabulous country house look, this fabric is piece-dyed and then washed (more than once!) in a special way to give each roll a slightly aged look with a beautiful feel. Each of the colours in this range have been hand selected by us to ensure they complement the wonderful texture of this fabric and give you that perfect country look. Made from 100% polyester this fabric also provides fantastic durability and is machine washable. Very handy for those cushion covers. Wonderfully textured to touch this is a real poser of a fabric and perfect for those of you looking for something a bit different. It's been interwoven with different coloured threads creating a subtle and rather attractive mottled colour effect and giving the fabric fabulous depth and structure. Made from 100% polyester chenille its also ridiculously durable and machine washable. Very handy for those cushion covers. Luxurious and soft to touch this fabric looks super smart and rather decadent when upholstered due to the thickness and detailing of the stripes. Made from a gorgeous blend of natural (30% cotton) and manmade (35% acrylic and 35% polyester) fibres it has a wonderfully natural linen look as well being extremely durable and machine washable. Very handy for those cushion covers. A fabulous fabric to look at and feel. Individual loft yarns have been woven together to create a beautifully subtle crushed appearance and a soft and fuzzy like texture. Made from 100% polyester it provides the look and feel of a textured chenille whilst also being fabulously resilient and machine washable. Very handy for those cushion covers. 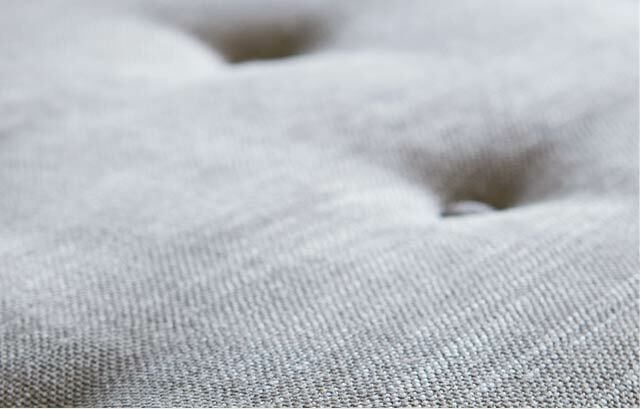 Our house wool is devastatingly chic, smart and incredibly soft to touch. Made from 100% polyester it provides the look and feel of natural wool whilst also being incredibly durable and hypo-allergenic as it doesn't attract lots of dust and dirt like natural wool. It's also absolutely fine to pop in a machine wash. Very handy for those cushion covers. 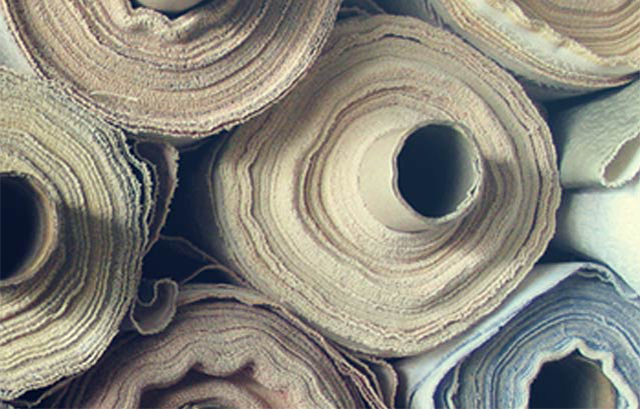 With a wonderfully crushed and deep piled texture, this fabric is extremely decadent, sophisticated and soft to touch. Made from 100% polyester it offers the opulent look and feel of crushed velvet for incredible value and unlike its 100% natural counterpart it won't matt, fade, or attract lots of dust and dirt and is machine washable. Very handy for those cushion covers. This velvet has a really stylish and sophisticated matt finish and is soft and luxurious to touch. Made from 100% polyester it offers the opulent look and feel of velvet for incredible value and unlike it's natural counterpart it won't matt, fade, or attract lots of dust and dirt and is machine washable. Very handy for those cushion covers. Incredibly supple and beautiful our house leather is made from a gorgeous blend of natural (30% cotton) and manmade (70% polyurethane) fibres which means as well as looking and feeling fabulous to touch it's also incredibly durable and completely ethical. It's also super easy to clean with a damp cloth... perfect for those pesky spillages! Put on a cool (no more than 30 degrees) and delicate washing cycle with a mild detergent without bleach or optical whiteners. Once washed, leave to air dry away from direct sunlight. When they’re around 95% dry put the covers back on the cushions as this will help retain their shape and lifespan. Dry clean in situ by a professional. To clean the parts of your sofa bed, sofa, and armchair which are not removable we recommend using a dry foam shampoo from reputable brands such as Bex Bisell or Scotchguard. In case the above does not work then fear not as you can always order an extra set of seat, back, scatter, and side cushion covers as well as arm caps. You can either do this when you place your original order or down the line if you get a stubborn stain. Just give our customer services team a call and they’ll be happy to run through this with you. It has a fire retardant certificate which can be sent with the fabric to our workshop (all fabrics should have this). It’s back coated and not interlined. Interlined is where there is a second inner lining of material behind the fabric as opposed to back coated where the fire retardancy treatment is applied directly to the back of the fabric. If the fabric is patterned or striped you can send us some images so we can pass these onto the workshop and confirm whether they can work with it or not. The reason we need to do this is because some patterns and stripes are more difficult than others and we want to make sure that, if it is a fabric our upholsterers are not familiar with, they are confident they can upholster the item perfectly for you.